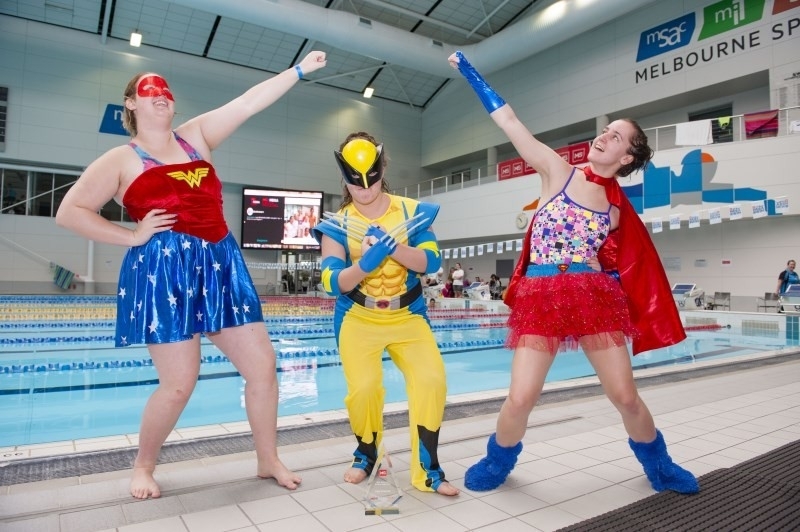 Entering a team in the MS 24 Hour Mega Swim is a great way to have fun exercising with friends, family or co-workers to combine creative ideas and work together to reach your fundraising goal! When you form a team you have access to your very own team page to make it easier to organise and manage your team and fundraise together. Teams are usually up to 15 people. If you would like more people in your team check with the MS Events Team to make sure it is possible for your event. If you have more than the maximum number of team members you're still welcome to join in for fun, but you won't be able to win the competition. There is no cost to enter a team - each member simply pays their own entry fee. Never Organised a Team Before? Don't stress - we're here to help! Contact the MS Events Team and we'll answer all your questions about managing a team and send you some more info. We can even put you in touch with one of our many past and present Team Captains who are more than happy to give advice. Create a team - register as an individual first and then create a team to become Team Captain. You'll need to have your team name ready to go! Invite others to join the team - post your team page link on Facebook and Twitter then email all your friends and colleagues asking them to join your team. Each member will need to register themselves for the event. As Team Captain, you need to fill the team with enough swimmers to keep going for 24 hours, so ask everyone you know to join in! Start fundraising - set a team goal and ask all team members to contribute, or hold a special fundraising event as a team. Keep team members up to date on how you are all going and who is raising the most. If you have the same friends or co-workers, ask sponsors to donate towards the team as a whole, rather than individual team members, by donating online via your team page. Swim - make sure your team are well-informed about the swim, know their roster and are ready for the big day!. Then you can all enjoy the experience of working together to swim for 24 hours for someone who can't. Congratulations on being a team captain. So what next? To help get the team organised we’ve created a number resources. These will make coordinating with your team members much easier. When you set up a team online, your very own team web page will be created. Use your team page to keep track of team members and their fundraising and to thank all those that have sponsored the team. Send an email to all team members using the templates provided. To get all team member email addresses, send a request to megaswim@ms.org.au and we will send them to you, where available. The online system makes it easy for you to manage and organise your team and for others to support your team. Organising a corporate team is a great way to get to know your colleagues and to build unity within the workplace. It is often possible to get your organisation to support your team's entry in the MS 24 Hour Mega Swim. As your team is representing your workplace, why not ask for their help? Your HR Manager, social club, or your manager should be able to tell you who to ask for formal support. Arrange an appointment with them to present the opportunity for your organisation to support the company team and the MS 24 Hour Mega Swim. Payment of the employees' entry fees for the event. Contact us to organise a bulk team payment. Company donation towards the team's fundraising efforts. Promote your fundraising goal and details to all staff via all-staff communications such as the Intranet or company newsletters. Staff could assist in arranging and attending team fundraising events in the lead up to the MS 24 Hour Mega Swim. Non-swimming staff could help in a 'support crew' type capacity. Staff could support your cause by adding the team name and web page link to their email signature. Staff members can donate to the team - and be part of an organisational goal to raise a certain amount. Staff can share your Facebook posts on their own pages and follow you on Twitter and re-tweet your messages. Staff Unity - being part of a team that pulls together to complete 24 hours of continual swimming is a bonding experience. Great relationships can be formed within the team that will then positively affect colleagues in the workplace. Company recognition - the organisation can be publicly acknowledged in a variety of ways to ensure there is a widespread awareness of their support. If the name of the team has the organisation's name within it then everywhere the team name appears the organisation gets that positive association. The company name can appear on the team web page as a sponsor. The company logo can be uploaded on the team web page. As there is now room for a gallery of photos you can include images relating to the organisation. A message can be written into the team description describing the organisation's involvement. The more funds your team raises the more chance the team name and it's total will be in the list of the top 5 teams for that MS 24 Hour Mega Swim. This list will appear on every web page about the event on the website for the duration of the event, and in the e-newsletters that are sent out to participants. Team members can post about their organisation's involvement on the MS 24 Hour Mega Swim and Twitter pages, generating talk about the organisation and a huge potential reach. Build positive relationships with your current or potential clients, suppliers or stakeholders - Inviting people from these areas to join the team or to support the team not only develops the relationship but invites them into the organisation. By sharing the experience staff can get to know key people outside of the office. This allows closer relationships to be formed, which ultimately benefits the organisation. The success of a MS 24 Hour Mega Swim derives from the ongoing involvement, support and fundraising efforts of the teams who participate. 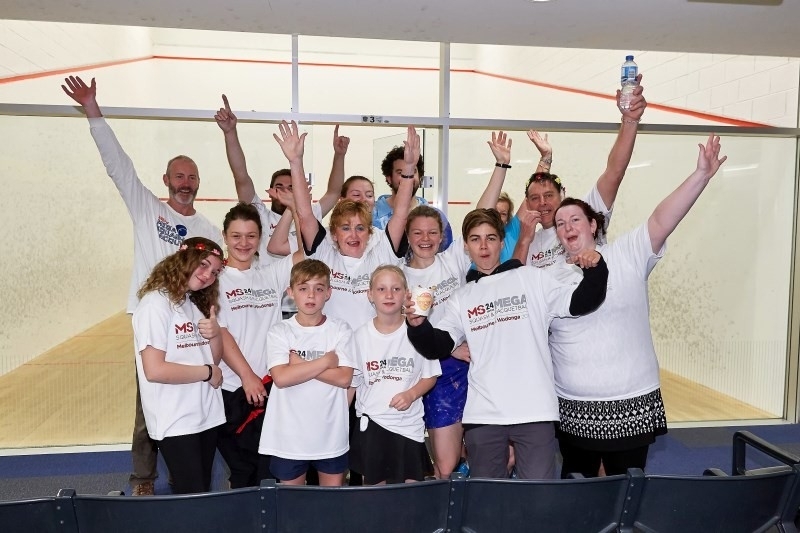 The Lend Lease Legends team are avid supporters of the Fitzroy MS 24 Hour Mega Swim and are consistently the top fundraisers at the event, which recently celebrated its tenth year. "A strong commitment to social sustainability is an integral part of the Lend Lease culture. Since our foundation in 1958 we have actively sought to make a positive contribution to the community in which we all live and work. One of many areas of community engagement has been our support in the funding of scholarships presented by MS Australia to applicants seeking to achieve their dreams and improve their quality of life." Lend Lease has been an active supporter of the MS 24 Hour Mega Swim initiative for the past eight years. Our employees and their families and friends have raised more than $180,000 over this period. In addition, through Lend Lease Foundation, we have been able to offer additional grants to the value of $10,000. Our involvement and participation provides Lend Lease with benefits at many levels. In addition to the benefits that training for the swim contributes towards the health and wellbeing of our employees, it also provides a valuable networking opportunity by bringing employees from many different parts of the organisation and their families together, all in the name of such a worthy cause.